When the 2nd mass destroys a crucial Espheni base, a relentless enemy is taken down and the Mason family is reunited with those who had been lost. 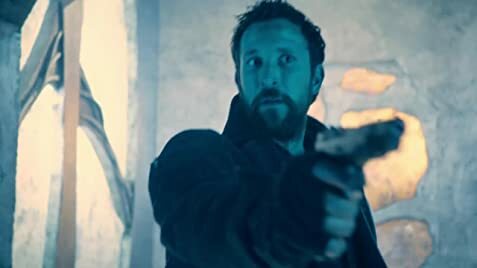 How many episodes of Falling Skies have you seen? Q: Why do the Skitters have six legs and two arms, but the Mechs have only two legs and two arms? I'm not sure why people are complaining for the wrong reasons. Some seem to think Science-Fiction means "Babylon 5" - Aliens, Space...lots of costumes. So you can't really say "this is Sci-Fi" from ten years ago. No, this is Sci-Fi today. And yes, there is a lot of dramatization and overacting, but overall a pretty decent plot is strung around it. There are some parallels to the "Walking Dead" and other series. 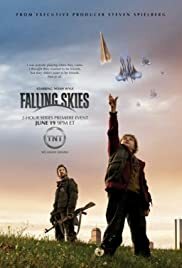 I'm still struggling to call "Falling Skies" original. It's a lot of things at this time and we have to see how it works out. It certainly has the Walking Dead feel, where characters are replaced along the journey to keep the human tragedy fresh. Always new despair to be recalled and told about - some of which may be pretty interesting to see. I'm not sure - I'd say a decent 7 points for this one, depending on how it develops. Pacing is really a problem in the series. You never feel like a huge amount of people is on the move or anyhow involved in this. It feels like some people sitting in a school and crying a lot (which is what it is). If this is another show trying to make the viewer cry and emphasize with the protagonists - don't! Writer's don't do it, please! We are not interested in sad stories per se, we want to see a world that is bigger than a schoolyard, one that has deeper stories to tell. I'm giving this 8 show points in hope of a deep plot and fewer emotional problems. We know they are there, but unless these problems are plot-defining, they are really, really boring; so cut it short.No more filling up minutes with pathos. 67 of 114 people found this review helpful. Was this review helpful to you?